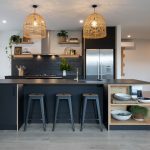 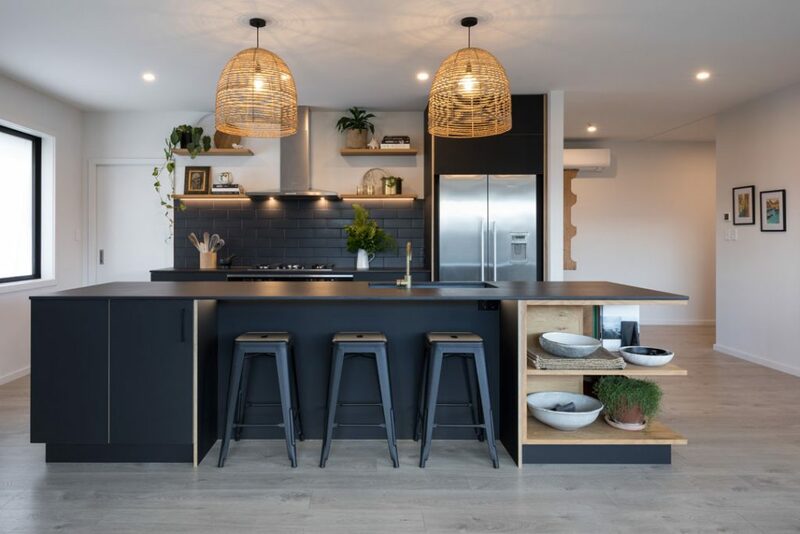 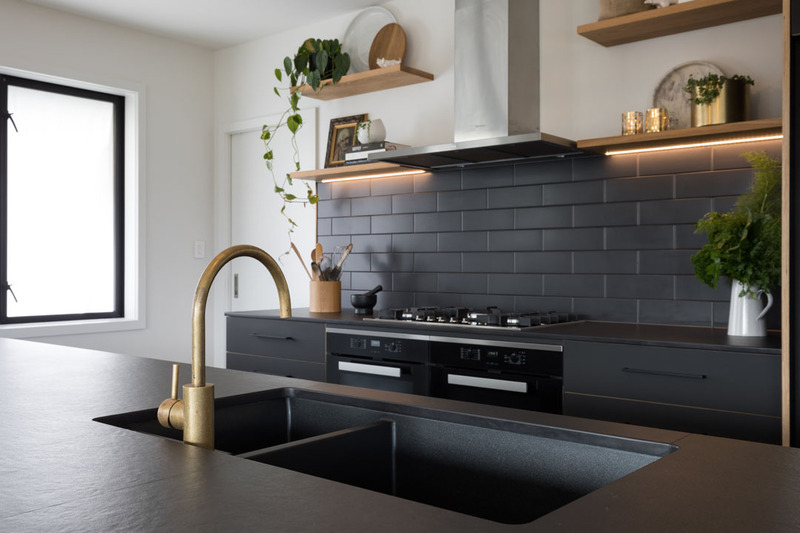 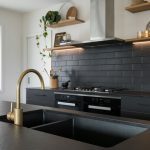 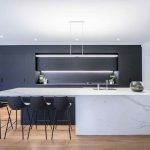 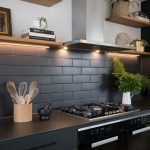 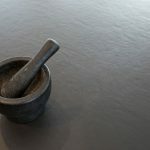 Phoebe and Will Clinton-Baker, the husband-and-wife team behind Workshop Designs in New Zealand, have stepped over to the dark side with an all-black kitchen in their new house in Masterton. 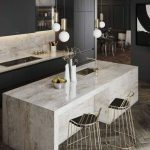 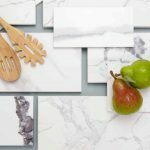 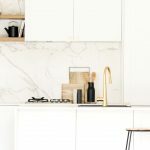 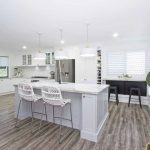 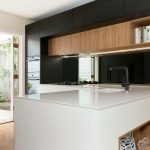 Having seen (and built) a lot of white kitchens, they wanted to do something different for their own home. 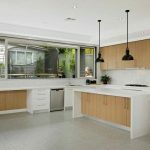 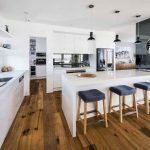 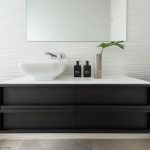 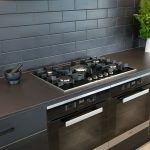 But there were two requirements for going all black: to have a solid-black benchtop (without any fleck) and to incorporate timber accents. Phoebe and Will designed the kitchen, which Will spent late nights building. 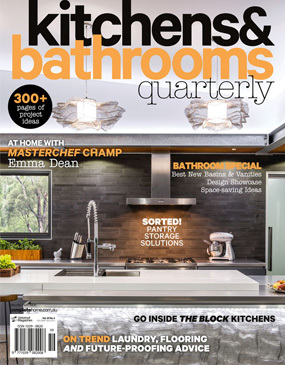 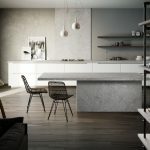 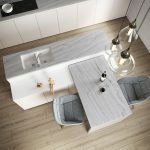 Creating an efficient work triangle, it incorporates the cooktop and ovens facing the wall, with the refrigerator adjacent, and the sink in the island bench opposite. 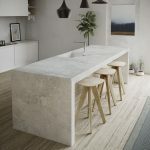 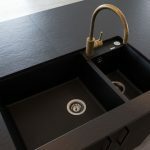 “We love having the sink in the island because it makes working in the kitchen nice and social as it looks onto our living area,” says Phoebe. 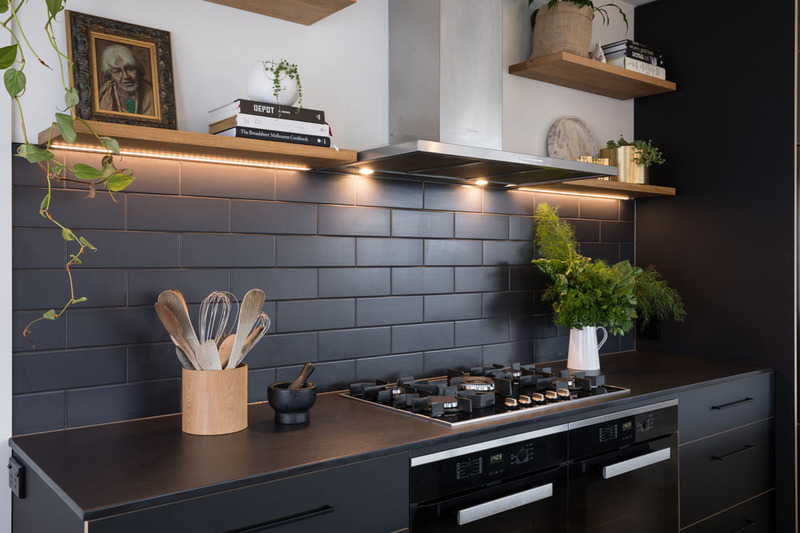 Black-on-black is a sophisticated choice and works well for Phoebe and Will’s kitchen as the space is flooded with natural light. 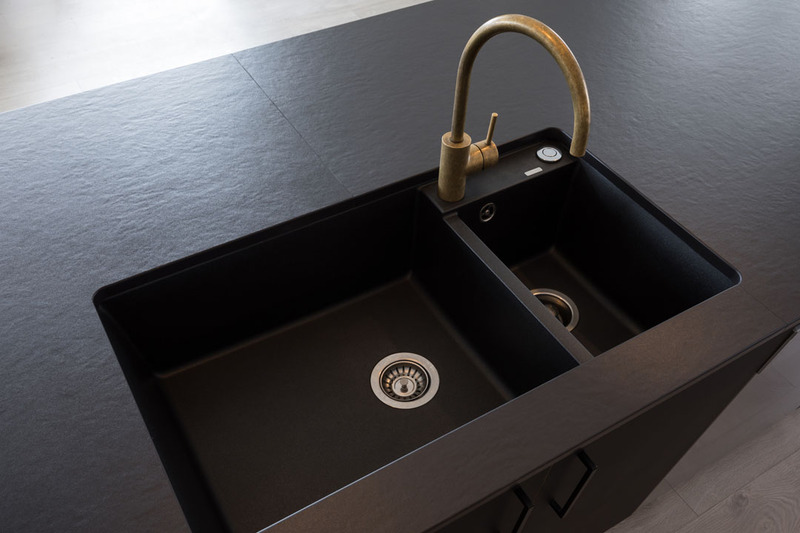 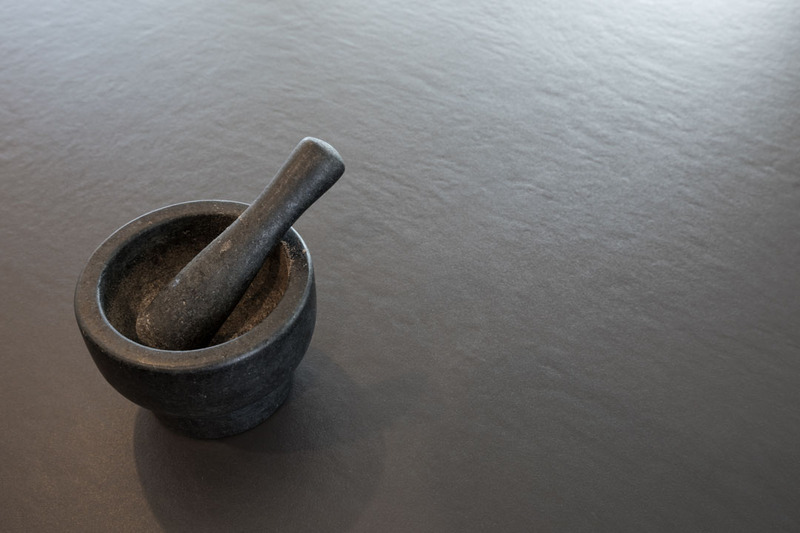 The couple selected different black materials, while ensuring they all had matt surfaces. 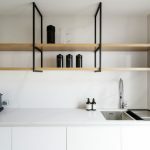 They fell in love with the velvet texture of the black plywood and added barely visible black handles to the joinery. 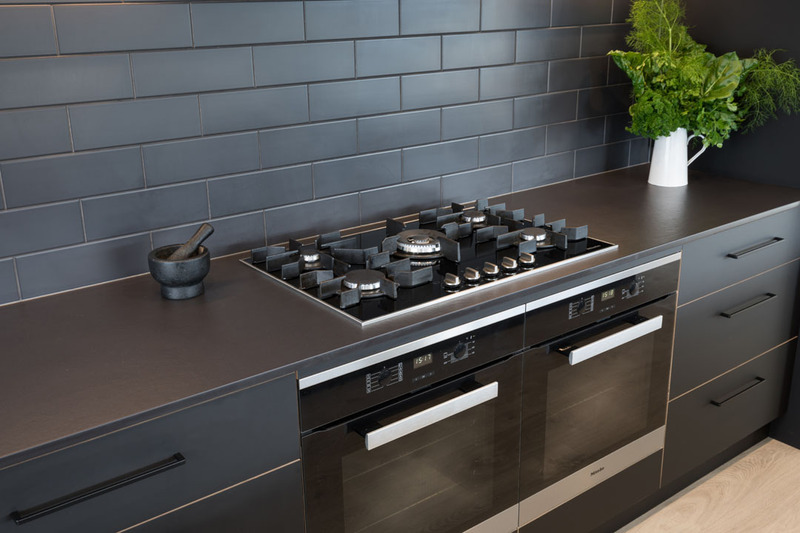 Black tiles against the back wall serve as the splashback, and a black sink, cooktop and oven are seamlessly integrated.